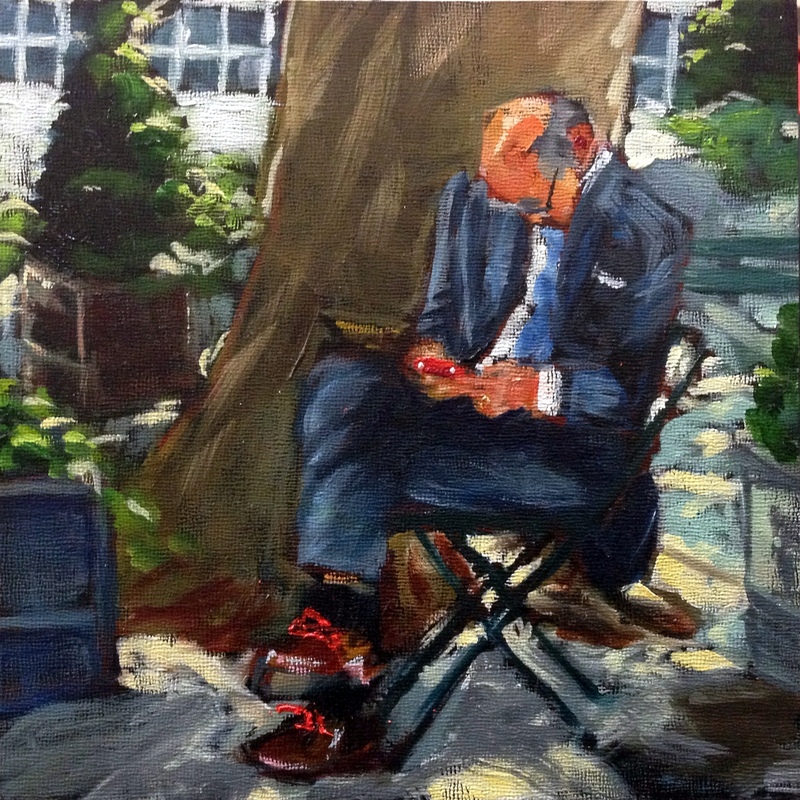 Without really meaning to, I’ve done a whole series of New Yorkers with their phones. This guy was reading something on his phone after lunch in Bryant Park, behind the New York Public Library. I love it that his shoelaces matched his phone case! See this and other paintings at my DailyPaintworks gallery.